Betrayal at Krondor is a DOS-based role-playing video game developed by Dynamix and published by Sierra On-Line in 1993. Betrayal at Krondor takes place largely in Midkemia, the fantasy world developed by Raymond E. Feist in his Riftwar novels. The game is designed to resemble a book, separated into chapters and narrated in the third-person with a quick-save bookmark feature. Jan Paul Moorhead composed its music. 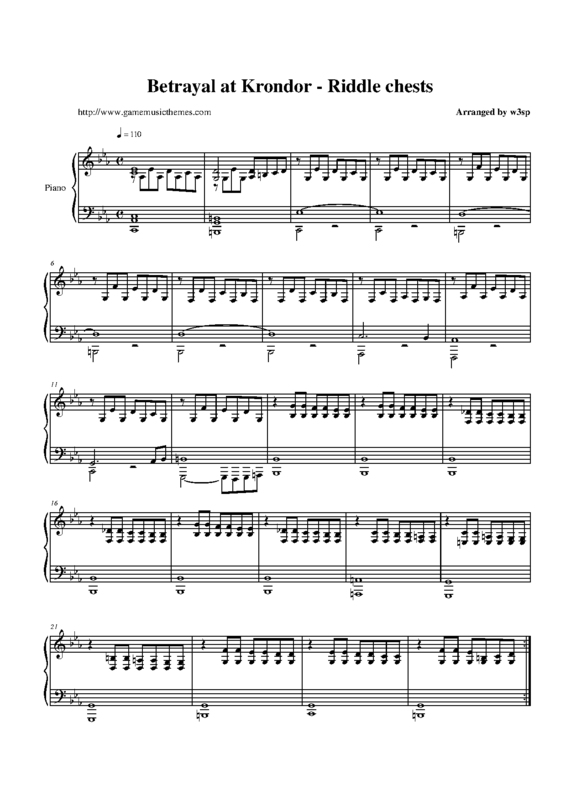 In this page you can download sheet music, music files and more for the musical themes of the Personal Computer (PC) video game "Betrayal at Krondor". Click on the name of a theme if you want to visit its individual page, where you may find more information about it. If you are having problems downloading or opening the files, please visit this link: How to Use this Website.